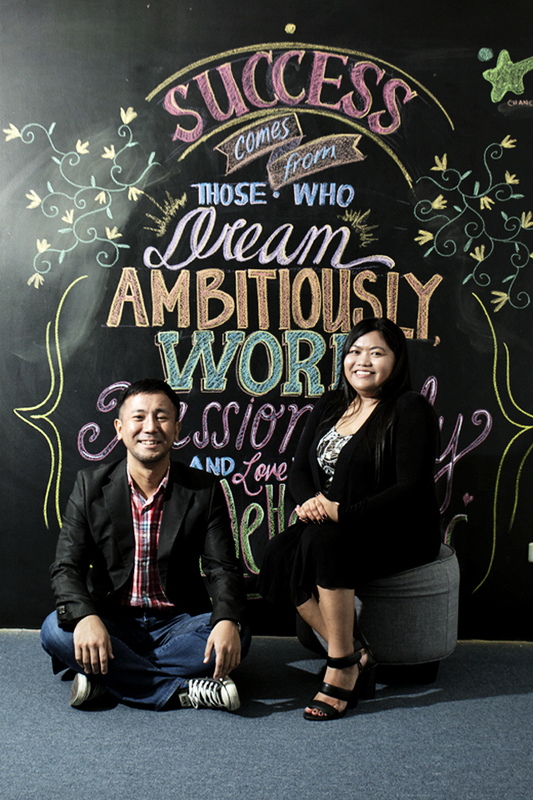 When Tomohisa Kato and Mary Shemuel Unida met in 2007 to set up RareJob's Philippine operations, they needed to convince the market that their online tutorial service was a legitimate business. “Back then, online English tutorial by home-based tutors was a very new concept, which meant many people were suspicious,” Kato, RareJob’s CEO, told Forbes Philippines in its December 2016 issue. Prospective Japanese students were used to learning English from Western speakers, while prospective Filipino tutors doubted the authenticity of the business because of how different it was from other tutorial services. Nine years later, RareJob has built a network of over 4,000 tutors and provided English lessons to over 400,000 students worldwide. Its Japanese parent company reported revenue figures just shy of Php1 billion for the fiscal year ended March 31, 2016, and Kato estimated that RareJob’s seed investors earned about 2,000 percent return on investment in six years, boosted by the company’s listing in the Tokyo Stock Exchange. Since Kato and Unida were dealing with a market that found their business concept strange, they made sure that every tutor and student they hired were treated well and given good service. Tutors had flexible schedules that they get to decide for themselves, and students were given a cheaper alternative to face-to-face English tutorials. This encouraged both tutors and students alike to refer RareJob to their friends, starting a domino effect that led to RareJob’s client base growing organically. Today, referrals have the biggest effect on the company’s expansion, distinguishing it from its competitors who invest more in advertising. Kato revealed that because of referrals, RareJob was able to tap students outside of their primary market, as its Japanese clients referred the tutorial service to their Korean and Chinese friends. “We go by referrals because our tutors can assure (their peers) that the company is legit,” said Unida, RareJob’s director who handles Philippine operations. When Unida started recruiting tutors in UP Diliman back in 2007, she deliberately targeted students who needed financial support. “There’s a saying, ‘Don’t give a person fish. Give him a net and teach him how to fish,’” shared Unida. She was keen on using her unique situation as a startup founder to “influence a lot of lives”. RareJob’s flexible and accessible job requirements have also opened up opportunities for different kinds of people. Unida shared that RareJob’s tutor base includes stay-at-home moms, retirees and persons with disabilities. The same attitude pervades the company’s overall goal: “Our service mission is to encourage 10 million Japanese to speak fluent English,” said Kato. Though RareJob has grown exponentially in the past nine years, it has taken steps in expanding its client base beyond its usual market of Japanese professionals and the general Japanese public. To further widen their pool of Japanese high school students, it has partnered with Z-Kai, a Japanese company that has a presence in the Japanese cram school industry. These partnerships have also allowed RareJob to offer lessons outside of the Japanese market. After partnering with Mitsui & Co., a large Japanese conglomerate, Brazilian professionals now make up a small percentage of RareJob’s students. Kato also cites cultural factors as reasons for targeting Brazil, saying that there are similarities between Brazilian, Japanese and Philippine cultures. “Because of this people factor, we expect that the tutors will be appreciated there,” he added. Earlier this year, Kato and Unida set up another startup aiming to improve IT proficiency among Filipinos. Called tuitt, the company holds coding boot camps that involve a three-month training program. The program employs a “study now, pay later” scheme to open the opportunity to more people. Kato finds the prospect exciting as Filipinos aren’t seen by other countries as IT professionals. He likens it to how, nine years ago, he had to make a solid effort in convincing Japanese customers that Filipinos were capable of teaching English in the same level as Western speakers. 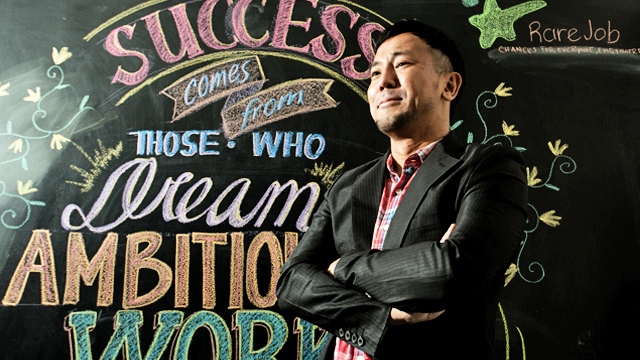 “Breaking old mindsets is the source of income for entrepreneurs like us,” he said.